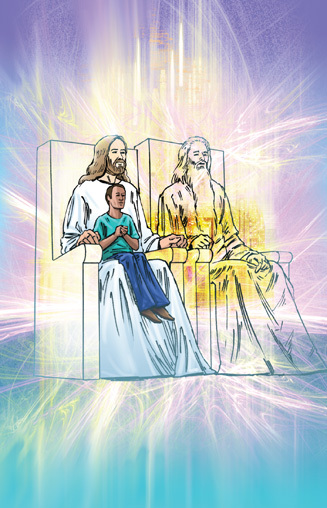 How to be a child of God is a colorful, shiny little book to see. It is inviting to look at and when I open it show people the pictures and color inside, they are generally impressed. I know the book has eye appeal. Also, it looks brief and easy or a quick read for most. When I offer our book to most church people, they hand it back and explain they are already saved and give the impression that they don’t need a book like that. Nine of ten times, the decision is based only on the title of the book, How to be a Child of God. I knew the scope of my wrongdoings. I had trouble grasping the idea of being 1.) a new and reborn creature 2.) a spiritual being 3.) 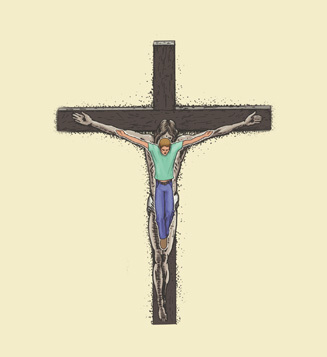 forgiven of my sins. One if not all was too much for me to imagine or hope for. I just could not believe it. I walked the aisle of a one church, a revival at the next or another for all sorts of reasons for two years. The basic reason was I was unsure of this gift of forgiveness, unconditional love, eternal life and a restored life through Jesus Christ. But that was me. I really don’t know why people take so much time coming to know Jesus. And for the most part, when that person does pray to receive Christ, he is finished. As if he has finally bought the fire insurance policy after thinking if over for a lengthy time and now it is time to go on to something else. That bit of business has been taken care of. I think many are missing the boat of abundant living because they have never been taught what it means and entails to be saved. Most think salvation means that you go heaven when you die. The truth is you have already died and you have been born again. When I think of full gospel, I think of telling the complete story of the good news of Jesus Christ. We have become satisfied with the partial gospel in its presentation for the sake of time and expediency. As a new member counselor for thirty years in one of America’s largest churches, I have explained the gospel, witnessed, or counseled three thousand individuals to membership into that church. Many of those heard the Word of God for the first time in their lives. In my opinion, they only heard part of the good news presented, because we only presented a partial story. Somehow, we have become happy with the idea of spending five minutes with a person to have them make the most important decision in their lives. Interestingly, we will spend untold hours in therapeutic session with a person to undue behavior problems brought about by the wrong thinking we are trying to remedy. One day long ago, a good thinking Christian person decided that we should all be evangelists and we should have a witnessing tract that would tell the story of Jesus with stick figures and large type inside of five minutes. This same witnessing tract should fit into a person’s front shirt pocket, thus limiting witnessing mostly to men. I have used tracts like this with great frustration for thirty years and I have had at least some success with the 3000 I have presented this information to. That is, they said the sinner’s prayer at the end and then left to pick up the kids from the nursery. I felt coming to Christ to be a destination event and should be treated with special care. 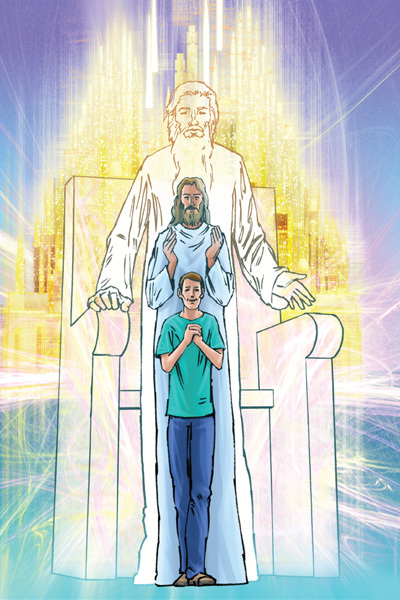 How to be a Child of God is a fifty-two page witnessing book laden with illustration that portray the story and the great news of our Lord, God and Savior Jesus Christ. We made the booklet to have the illustrations for the main purpose of cutting back on the number of printed words that would be needed to tell this story. They say a picture takes the place of a large number of words. The book has large type with scripture references in a modern day translation at the bottom of each page. The references are expanded to their full content in the back of the book. Altogether, there are two hundred forty-three verses expanded in this text. Not a bad bible study by itself. The best part is the section that tells the reader how to tell his story and another that tells how to witness. It is complete and thorough. The book can be used as a witnessing tool one to another, a bible study, or a self proclaimer. It is designed for a lone man or woman in prison cell or anywhere else to read and come to know his Lord Jesus Christ. See for yourself if this is not the best witnessing tool, new member package or general outreach tool your church ever had. Read it and watch it at: www.howtobeachildofgod.com. We are each given at least one spiritual gift when we first come to love and trust Jesus Christ as our Lord, God and Savior. We receive His Spirit at the onset and at least one manifestation of His presence in our lives. Mine was evangelism! From the very beginning of my new life in Christ, I have had a desire to let others know about the miracle of salvation in Christ and how it is theirs for the asking. For most of us there is a window when the excitement of our salvation and new life are so overwhelming, we cannot wait to tell family, friends or any who might listen. For most this window closes after a brief time and the newly saved desires to be with mostly other Christians with whom he can grow and learn. My desire never abated. Early on, I found courses on evangelism and personal witnessing. I remember courses called Evangelism Explosion, MasterLife and others. Once, with the Billy Graham Crusade, I took a six week course for crusade counselors that was in reality a course in personal witnessing. As time went on, I gained my own knowledge and experience that reflected my personal walk with God and those events became more and more a part of my own testimony. I learned my testimony is exactly that, my testimony. It is what happened to me and no one could argue with it or refute it. All I had to do to be an effective witness for Jesus Christ was to tell my story of what Jesus did for me. Many don’t have the confidence or boldness to speak out about anything, especially on subjects regarding their spiritual life and the technique is not really taught. I learned to testify in twelve step meetings and giving impromptu tellings as called on in those deep sharing occasions. You just can’t rehearse it as there is no time and sort of difficult to do anyway. Twelve step meetings are not for everyone, but personal testimony is what each of us are called to do if we are to expand the Kingdom of Jesus Christ. Just learn these basic points of discussion about yourself. 1.) How was it in your prior life? 2.) What happened that made you want to change? 3.) How is your life now as a Christian? These are the basic steps to knowing and practicing personal witnessing and it does not have to be your spiritual gift! The only requirement is that you love and trust the Lord Jesus Christ. The paragraphs above are an introduction to what any Christian can do to bring others to know Jesus. One of he best manuals for witnessing can be found in the pages of How to be a child of God in the section called How to tell your story. Find it in ebook form or order from : www.howtobeachildofgod.com. For He raised us up from the dead along with Christ and seated us with Him in the Heavenly realms because we are united with Christ Jesus. We were crucified with Him, buried with Him, raised with Him, and now we are seated with Him in the very presence of God. The author David Howell is a born again child of God. The information in this book reflects the essence of the experience, strength and hope that was given to him by Jesus Christ after many years of living a life of self- centeredness and self-absorption. Through the illustrations, verses and text; Howell shows how trust and understanding of Jesus Christ and the salvation experience can lead to victorious, abundant living and peace with God on this earth. No part of this publication may be reproduced in any form without written permission from David Howell.